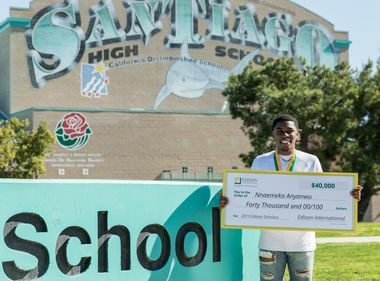 The Santa Monica High School student is a 2019 Edison Scholars awardee and is planning to pursue a degree in computer engineering. 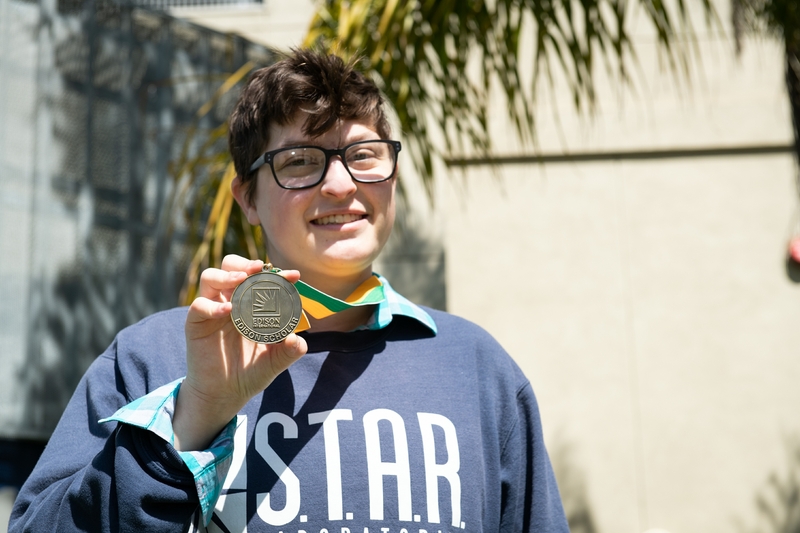 Katie Richards, a senior at Santa Monica High School, is a 2019 Edison Scholar. 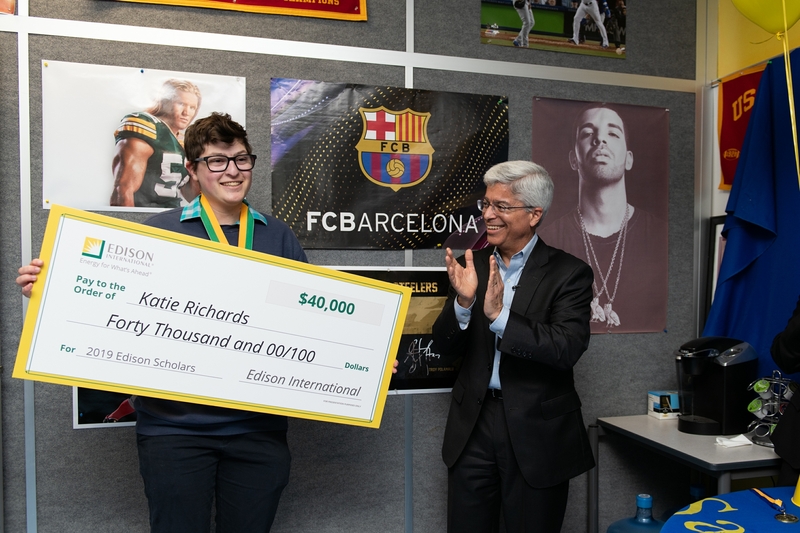 Pedro Pizarro, Edison International president and CEO, surprises Katie Richards, 17, with an Edison Scholars award. Katie Richards, 17, is congratulated by her mother Michelle Richards (right), and her grandparents, Eileen and Ed Kramer. Katie Richards, a senior at Santa Monica High School, holds up her Edison Scholars medal. Edison Scholar Katie Richards, 17, is flanked by (l-r) Dr. Antonio Shelton, principal, her mom Michelle Richards, and Pedro Pizarro, Edison International president and CEO. When Katie Richards, 17, was 3 years old, she could take apart and put together Legos with ease. When she was 12, her neighbor gave her an old Star Wars Death Star Legos set that she put together in less than two weeks. 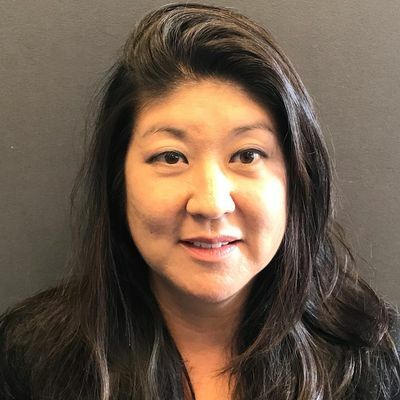 It was the first time she knew she liked to build things and by the time she got to Santa Monica High School, she decided to enroll in its four-year engineering program classes. Now, the high school senior’s goal is to study computer engineering in college and her $40,000 scholarship from Edison International is going to help make her academic dreams come true. Now, with the help of the Edison Scholars award, Katie has decided to go to Stevens Institute of Technology in New Jersey and will major in computer engineering. “I needed to make sure of some financial aid, but this [scholarship] probably seals it for me now,” she said. 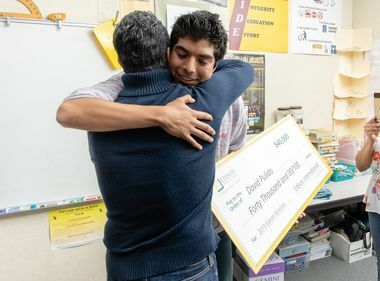 The $1.2 million Edison Scholars Program awards $40,000 scholarships each year, paid over four years, to 30 high school seniors pursuing STEM (science, technology, engineering or math) degrees and who live in Southern California Edison’s service area. With the addition of the 2019 Edison Scholars, Edison International has awarded more than $9.9 million in scholarships to 640 students since 2006. In addition to holding the editor-in-chief position for her school’s yearbook, Katie tutors math after school. One day she hopes to work on creating traffic infrastructure through her computer engineering degree. 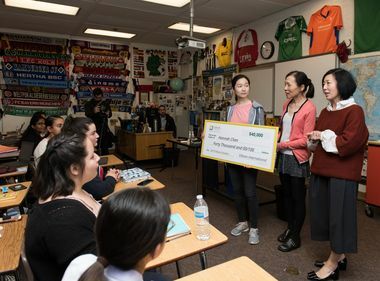 “I want to create things that people may take for granted, but makes their lives smoother and really helps them,” she said in her video application for the Edison Scholars award. Katie and her school friends have also been working on a “wildfire finder” project that would help monitor conditions that could spark a fire, potentially preventing a wildfire from starting. 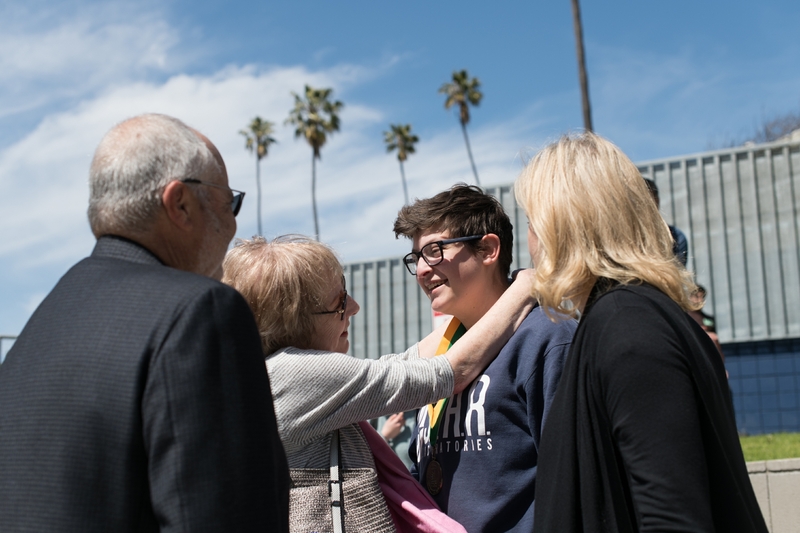 As Katie accepted her Edison Scholars award, her proud grandparents and mother wiped away tears as they watched the medal being placed around her neck.